Tips to Make Your House Wall Look More Attractive and Special - For some people, a plain wall with white or cream paint gives the impression of spacious and clean but for some people again want there are some parts of the wall that has a different color from the other side of the wall. If using a color like paint would take a long time either to remove items, clean up, sanding new and then re-paint in accordance with the wishes especially if made must have certain images such as mural painting on the wall, of course, time and quiet. The progress of the interior world today creates a variety of practical walls and can be changed according to taste that is by using wallpaper. For the wall, there is a wide selection of images and materials in accordance with the financial budget and how many wall area will be given wallpaper. There is a choice of natural and natural colors such as a real wall, such as wallpaper patterned wood so that by installing some wallpaper on the wall gives the impression of a special and colorful. In addition to wallpaper, there is also known by the term wall panels where it can be used to cover the uneven plaster area on the wall also closed some electrical wires so it does not look creeping. At the ceiling can also be installed panels for the ceiling so it will add variations on the ceiling so as to provide the desired atmosphere effects indoors. 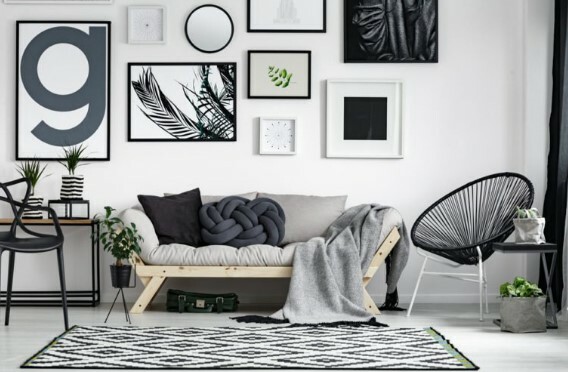 In addition, the panel on the wall can also be used as a rack of some funny and valuable collection of accessories such as some family photos in the media plate or a collection of toys and other accessories. Lightweight wall panel material made of PVC material which has advantages such as: easy to clean and maintain, more durable, not moist and the room so cooler and more tidy and flat when in pairs. There are various motives ranging from simple or even varied colors. For installation it requires special skills even if it takes a special interior design experts to create a panel on the wall there is no harm in the law to make your room more special and of course, must prepare the cost of design and materials used. There is also a wall sticker is almost the same as wallpaper only wall sticker prices are cheaper than wallpaper because the form of wall stickers tend to be smaller or not thoroughly coated the wall so directly on the shape like a tree or flower or cartoon series. For installation is also much easier and faster because it can install itself. Wall stickers can be installed on various media, such as wood, wall, glass, ceramics, refrigerator and even bathroom and kitchen so as to give the impression not too plain.